Although the idea is already a few decades old, it is much more recently that Nordic countries and most noticeably Iceland have come to the fore in making use of their geographical location and establishing themselves as transatlantic hubs for flights between North America and Europe. Looking for new economic opportunities in light of the economic crisis, Iceland emerged hugely successful with regards to air transport and tourism. 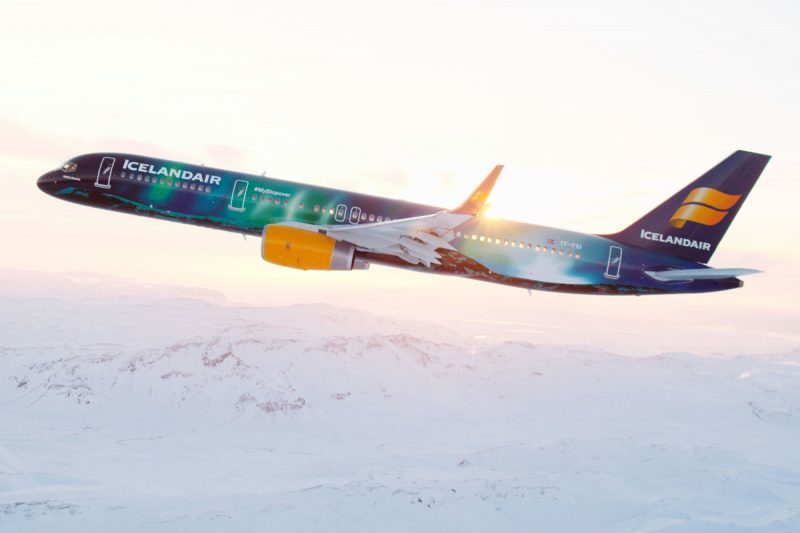 Lana Ollier talked to Birkir Hólm Guðnason, CEO of the current market leader Icelandair, about the process behind the success of Iceland as a transatlantic hub as well as a tourist destination. In talking to Mr Guðnason, one thing became very clear: the secret to this success lies in the country itself and spotting the opportunity in the resources naturally available. How did Iceland come to be so popular as a transatlantic hub and tourist destination? Did Icelandair have a hand in the process? Next year, we, at Icelandair, will have our 80-year anniversary. We were established in 1937, and we started to fly transatlantic in the 1950s. Since 2009, we have had the biggest growth in our history. As you might know, the economic crisis in 2008 hit us pretty hard, which meant that most Icelandic people lost their savings and stopped travelling. As a direct result from that, we started streamlining operations, and we decided to move the tourist market to Iceland, which also meant moving all our resources and marketing abroad to promote Iceland as a tourist destination. At that time, the devaluation of the Icelandic Krona also worked in our favor and created an opportunity to get more tourists to Iceland. So the whole thing was a success, and we managed to increase tourism by 12% in 2009. The year after that, we had the volcanic eruption which lasted for six weeks. So for the first six days, the European airspace was closed, but our airport here in Iceland was open. So we flew every day to North America and to cities in Northern Europe that were open. After six days, we saw that the European airspace would open up, and our airport would close down, so we decided to move the whole route network down to Glasgow, and we operated there for a total of 12 days. Hence, through the whole eruption period of six weeks, we managed to operate big parts of our route network both in Iceland and through Glasgow. At that time, we teamed up with different private companies in Iceland, the tourism industry and the government, and started this campaign called ‘Inspired by Iceland’. The initial idea for this campaign was to raise awareness about the fact that, despite the volcanic eruption, Iceland was fine and up-and-running in a sense. The campaign ended up being a big success, so we decided that we should team up again and use the ‘Inspired by Iceland’ campaign as a campaign to promote Iceland in the wintertime and, thus, create more jobs in the wintertime. Iceland has always been very popular in the summer, but not so much in winter. So we have been running this campaign since then, and it has been a success. We have seen an increase in tourism by 20-30% annually for the last years. Currently, we have around 27 airlines flying to Iceland. Since 2009, we have been growing by approximately 15-20% annually in capacity; and this year, we grew by 25% percent. We are targeting a growth rate of 13% next year. So the tourist industry in Iceland has been booming, and that has, of course, helped the economy to improve. The devaluation of the Icelandic Krona certainly helped that process. So things are looking much better in Iceland now. What role did Icelandair play in this whole process? We play a big role, because we are the biggest tourism company in Iceland; and we played a big part in developing the market campaign ‘Inspired by Iceland’, together with other companies and the government. And the campaign, as I mentioned previously, has been a big success. If you look at recent years proportionally, there has been a bigger increase of tourism in the winter than in the summer. We are seeing around 20-30% of increase of tourism in the winter, but less in the summer where there is also less growth in capacity. And, of course, we play a big role in it, with our growing route network where we are adding 10-20% percent of capacity every year. The population of Iceland is only 300,000 people, and we are estimating 3.7 million passengers this year. A big part of those people transit through Iceland as they journey between North America and Europe. With our service, you can take a stopover for up to 7 days without any additional costs in the offer; and I think that is something that people like: they can add a getaway to their trip. Therefore, when we increase frequency of flights to and from Iceland, we also increase tourism. If you have, for example, seven flights a week to Paris, instead of two, you will get more French tourists to Iceland. So the transatlantic fleet and traffic is helping to increase tourism to Iceland. What made Icelandair so successful? I think what we have done is that we have looked at the opportunities that we have in being from Iceland – in a sense, the advantage presented by our location. Our geographical location, being located between North America and Europe, gives us a strategic advantage in many cases. For example, airlines flying from Northern Europe to the East Coast, they all fly over Iceland. So by flying with Icelandair, you are saving a lot of time when you have certain destinations in the US or Canada. Further, you can transfer much faster in Keflavik as compared to transferring in Frankfurt or Heathrow, which are very big airports. Additionally, it can give you the opportunity of a stopover in Iceland, which is increasingly popular. We have special services related to the stopover experience. For example, last year, we started a global stopover campaign, where we offered our passengers the opportunity to stop over in Iceland, and one of our employees would become their stopover buddy for one day. There were over 200 members of our staff that wanted to participate, and around 50 or 60 ended up participating. They spent one day with a stopover passenger and showed them their favorite coffee places or restaurants or hobbies or locations. I, as CEO, also participated, and I took a passenger from the US to my hometown in northern Iceland. The campaign ended up being a real social media and PR success, and it was in the news everywhere. I think that is basically what we are trying to do; we are always looking to turn what we have into opportunities. What are the main lessons or takeaways from this process? I think the main lesson is that if we want to do so, we are able to grow in a sustainable way. The lesson is that Iceland has a big chance even in the wintertime. People are not coming because of the weather; they are coming because of the pristine nature, culture, food and people. It is increasingly popular for tourists to spend more time with the locals. And here in Iceland, we love the increase in tourism, because that also makes our cities more attractive and lively. For example, more tourism means that there are more people downtown and more people in restaurants, which means that there are more restaurants and shops open. Further, tourism in winter has helped us to be able to host more events, and the Icelandic people gained from that as well. So, overall, that has also helped us to improve the economy and to create jobs, and I think the people in Iceland are, therefore, realising how important tourism is for our national economy. Tourism is now overtaking fishery as the bigger pillar of our economy. What are the challenges Icelandair faced in this process and the challenges it is still facing? One of the main challenges for Icelandair is, of course, the competition of the market. Icelandair competes against the biggest airlines in the world on the transatlantic route. Another challenge is the infrastructure in Iceland, which is putting certain limits on the growth as a sector. So, with the infrastructure as a whole, we have to be careful not to grow too fast, because we have to be able to still manage the traffic. But until now, we have been quite successful at managing the parallel development of infrastructure and tourism, and we are working closely with the authorities, the government and the tourism industry in Iceland in trying to find solutions to how we can continue to grow. So everyone is successfully cooperating on those issues. To what extent does Icelandair also face local competition from airlines like WOW air, which presents a low cost alternative? Icelandair has been facing competition for decades on the transatlantic route and also within Iceland. Most of the 27 airlines, which I talked about earlier, are low-cost airlines such as EasyJet or Norwegian. But we like the competition; it makes us stronger, keeps us on our toes and puts pressure on us to perform better. We really believe in our product and in our route network. And we put together quite a unique package through offering our passengers a true Icelandic experience, with an Icelandic theme ranging from Icelandic food to music and the northern lights on the ceilings of our aircrafts. But we also try to offer a premium service, with more seat pits, better entertainment systems, internet and a good service. With those services, we aim to create an experience that gets us repeat customers and makes our passengers our ambassadors in, for example, creating stories that they post on social media. So despite the competition over the years and decades, we have been able to grow in a profitable way, especially in recent years, and we have been able to reach our goals. Would you say that tailoring the travel experience to your country is your main marketing strategy, as compared to other airlines? Definitely. Our strategy at Icelandair is to be different, not just flying from A to B. Instead, we would like to create an experience, where a traveller travelling with us for the first time feels like he is already in Iceland. We would like our transatlantic passengers that transfer in Iceland to experience Iceland on board and experience Iceland through marketing, so that the next time they will travel, they will come to Iceland. So, again, the goal at Icelandair is to not just to make it a flight from A to B, but a true experience. So in Iceland, this has been a massive success and also helped your economy. How far can this model also be applied to other countries which have a similar geographical location? I think you always need to consider where your strategic advantages lie. It all depends on the infrastructure and the strength of the tourism market. For us, it is very important to have a strong mix of tourists and passengers leaving Iceland, flying transatlantic. I don’t know those countries that well, but I would assume that they could also benefit from their strength location-wise, in trying to figure out which route they would travel between North America and Europe and how their traffic develops. Would you say that your advantage as compared to Greenland, for example, was that you already had more basic infrastructure in place? Yes, I think so. Of course, we have been flying for 80 years and also transatlantic for a long time. The region of Reykjavik has almost 200,000 inhabitants, and there are a lot of nice hotels, restaurants and shops. So if you compare Reykjavik and the number of restaurants, hotels and coffee shops to the number of inhabitants, it is mind-blowing, because it is almost comparable to some of the larger cities in Europe and Scandinavia. I think it is pretty unique that we fly 3.7 million passengers a year as a country of only 300,000 inhabitants. There are around 180 flights a week taking off from Keflavik to North America, while Copenhagen has only around 60. So with a really small home market, it is the route network which increases the frequency and brings tourists to Iceland. I am not familiar enough with the Faroe Islands and Greenland, but I would assume that the way to go in those countries is also to start small and then build up infrastructure as the market grows. That is also what we did in Iceland. While in 2008, we only had 500,000 to 600,000 tourists coming to Iceland, there are around 1.7 million this year. So that is a massive increase, but the infrastructure, such as new hotels and restaurants, has grown with it. And with increased tourism in the wintertime, it is easier for the restaurants to stay open all year and that creates a lot of jobs. For example, for taxi drivers or petrol stations, this in turn creates jobs, and that has an effect on the whole economy. We take it in steps. How much is this growth currently limited by the infrastructure? There are two dimensions to the infrastructure: the airport infrastructure and the infrastructure in the country. The former is certainly something we need to improve. But because in the wintertime, we still have more capacity, the current focus is to get more people in winter. Furthermore, we try to distribute the tourists better across the country; currently, most tourists stay in the larger Reykjavik area. There are huge opportunities in better distribution. Regarding the airport, we are working closely with the airport and authorities in trying to figure out how to enlarge the airport in coming years. It has been growing in recent years, but they have now issued a plan for the next 25 years, which is going to go in its first phase probably this winter or next spring. So there is a plan which aims at providing infrastructure in line with the growth of the tourism industry. Who do you partner with as it appears to be a holistic system? Iceland is a small market. Although Icelandair is the biggest company in Iceland, we are still a very small fish in the international airline market. But in Iceland, you are always just two phone calls away from the President or the Prime Minister. So people work together closely; the whole tourism industry works together closely; and the government and the authorities work with the industry. I think it is much easier in a small country and small economy to work together closely than in a big country with a big economy. In the end, our close collaboration gives you more flexibility and quicker decision-making. So we plan for additional destinations: Tampa, Florida and Philadelphia next year; and our capacity will be approximately 13% more than this year. We are adding two 767s to our fleet, so we will have a total of 30 aircrafts. Then, in 2018, we are receiving our first 737 Max aircraft from Boeing; and we have in total 16 of those coming in from 2018 to 2021. So that will be a great addition to our fleet. And we will just have to see how next year goes, until we decide what we do in 2018 in our route network. We usually make a decision in the spring about where we are going to go next year and announce it late summer. So this winter, we are going to start looking at our destinations for 2018. Lana Ollier is an Associate in the Geopolitics and Security Unit at Polar Research and Policy Initiative. She is currently completing a MSc in Environmental Policy and Regulation at the London School of Economics. She holds a Bachelor’s degree in Political Science from the Freie Universität of Berlin.